A new study from the University of Washington, the Monterey Bay Aquarium Research Institute, Princeton University and several other oceanographic institutions uses data gathered by the floating drones over past winters to learn how much carbon dioxide is transferred by the surrounding seas. Results show that in winter the open water nearest the sea ice surrounding Antarctica releases significantly more carbon dioxide than previously believed. "These results came as a really big surprise, because previous studies found that the Southern Ocean was absorbing a lot of carbon dioxide," said lead author Alison Gray, a UW assistant professor of oceanography. "If that's not true, as these data suggest, then it means we need to rethink the Southern Ocean's role in the carbon cycle and in the climate." The paper is published Aug. 14 in Geophysical Research Letters, a journal of the American Geophysical Union. "This is science at its most exciting — a major challenge to our current understanding made possible by extraordinary observations from the application of new technologies to study previously unexplored regions of the ocean," said co-author and SOCCOM director Jorge Sarmiento at Princeton University. Gray conducted the research as a postdoctoral researcher in Sarmiento's research group. "Our observations have important implications for our understanding of the global carbon cycle," Sarmiento said. "We find that the Southern Ocean is currently near neutral with respect to removal of carbon from the atmosphere, contrary to previous studies which suggest there is a large uptake of carbon by the Southern Ocean. These results can be reconciled if there is a corresponding unobserved carbon uptake waiting to be discovered somewhere else in the ocean." "After four years of SOCCOM, the vast majority of information about the chemistry of the Southern Ocean is coming from these floats," Gray said. "We have more measurements from the past few years than all the decades that came before." There are reasons so few previous winter measurements exist. Storms in Antarctica are some of the fiercest on the planet. In winter, the circumpolar current and winds have no barrier to ripping around the continent. The average storm lasts four days, Gray said. The average time between storms is seven days. "In the winter it's very stormy, and the winds are extremely strong, and it's dark," Gray said. "It would be a pretty unhappy place to be on a ship." The SOCCOM project was launched because this region also plays a unique role in the climate. It is one of the few places where water that has spent centuries in the deep ocean travels all the way up to the surface to rejoin the surface currents and connect with the atmosphere. Carbon atoms move between rocks, rivers, plants, oceans and other sources in a planet-scale life cycle. Learning the rate of these various transfers helps to predict the long-term levels of carbon dioxide, a molecule released by burning fossil fuels that, when it accumulates in the atmosphere, traps heat. The new observations were collected by floating instruments that drift with the currents and can control their buoyancy to collect observations at different depths. The instruments dive down to 1 kilometer and float with the currents for nine days. Next they drop even farther, to 2 kilometers, and then rise back to the surface while measuring water properties. After surfacing they beam their observations back to shore via satellite. Unlike the more common Argo floats, which only measure ocean temperature and salinity, the SOCCOM floats also monitor dissolved oxygen, nitrogen and pH. The new paper uses the pH measurements to calculate the amount of dissolved carbon dioxide, and then uses that to figure out how strongly the water is absorbing or emitting carbon dioxide to the atmosphere. Looking at circles of increasing distance from the South Pole, the authors find that in winter the open water next to the sea-ice covered waters around Antarctica is releasing significantly more carbon dioxide than expected to the atmosphere. "It's not surprising that the water in this region is outgassing, because the deep water is exceptionally rich in carbon," Gray said. "But we underestimated the magnitude of the outgassing because we had so little data from the winter months. That means the Southern Ocean isn't absorbing as much carbon as we thought." The published study analyzes data collected by 35 floats between 2014 and 2017. Gray is now analyzing newer data from more instruments to identify seasonal or multiyear trends, where the patterns might change from one year to the next. "There is definitely strong variability on decadal scales in the Southern Ocean," Gray said. "And the models are really all over the place in this region. The SOCCOM floats are now providing data at times and places where before we had virtually nothing, and that is invaluable for constraining the models and understanding these trends." Obtaining this kind of data is extremely difficult to do in the Southern Ocean, which is among the world's most turbulent bodies of water, yet at the same time is vital to building a comprehensive global picture of how atmospheric carbon dioxide interacts with the polar oceans. 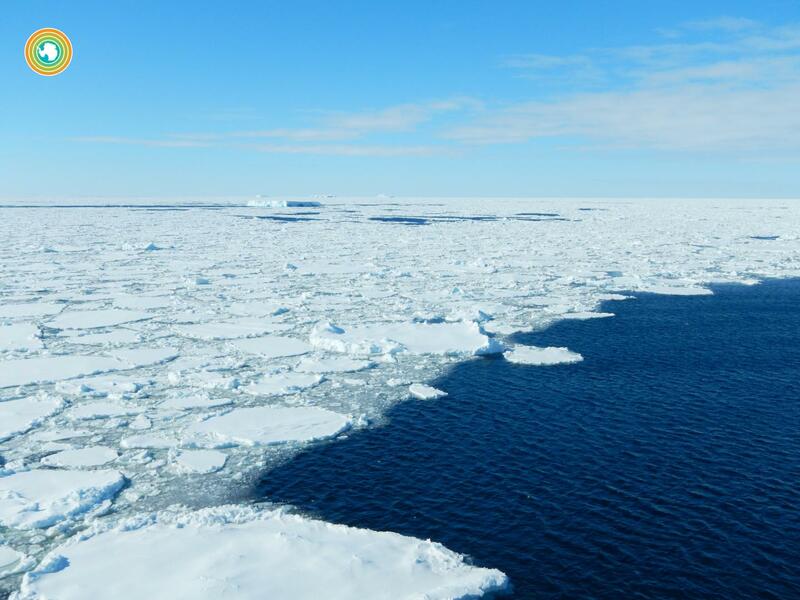 "Antarctic waters, until now, have been a data-poor region for these kinds of measurements," said Peter Milne, program manager for ocean and atmospheric science at the NSF Office of Polar Programs. "SOCCOM, using technologies that previously were unavailable to researchers, already is proving its worth by gathering information that otherwise would remain largely unobtainable." NSF's Office of Polar Programs manages the U.S. Antarctic Program, which coordinates all U.S. research on the southernmost continent. The study was funded by the NSF, with additional support from NOAA and NASA. Other co-authors are Stephen Riser at the UW; Kenneth Johnson at the Monterey Bay Aquarium Research Institute; Seth Bushinsky at Princeton University; Joellen Russell at the University of Arizona; Lynne Talley at Scripps Institution of Oceanography; Rik Wanninkhof at the National Oceanic and Atmospheric Administration; and Nancy Williams at Oregon State University. For more information, contact Alison Gray at [email protected] or 206-543-0593 or Ken Johnson at [email protected] or 831-775-1985.